Eight: Edmund de Bassingburnn. Bartholomew de Yattendon. Edmund de Bassingbourne ~ Edmund de Bassingburnn. Included in [Vincent, MS; 1285; number 82] also known as [St. George's Roll; 1285; number 82]. 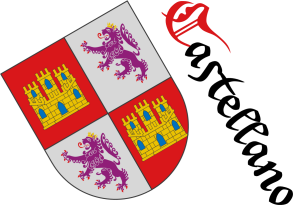 Blazon keywords: Gironny, Eight, Or and Azure. Bartholomew de Yattendon ~ Bartholomeu de Loctringdene. Gironny of eight Argent and Sable. Included in [Vincent, MS; 1285; number 88] also known as [St. George's Roll; 1285; number 88]. Blazon keywords: Gironny, Eight, Argent and Sable. 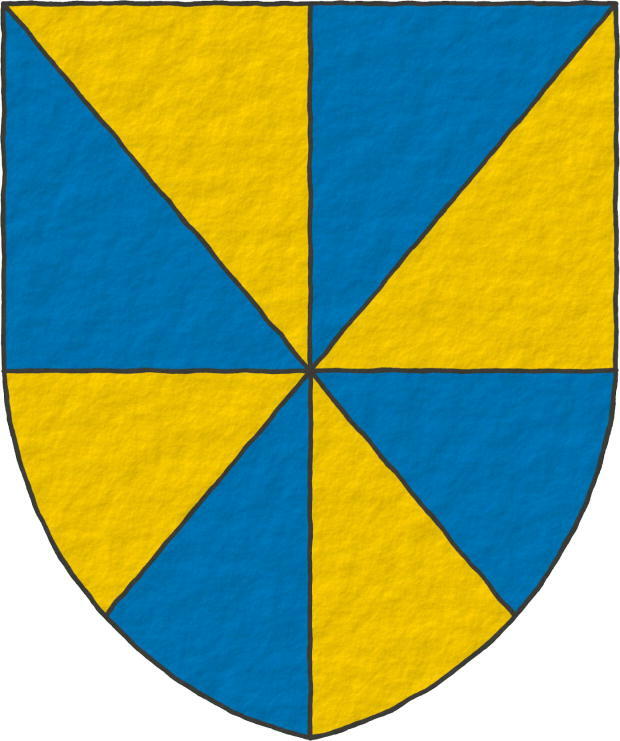 Pointed, Azure, Bartolomé de Yattendon, Outlined in sable, Edmundo de Bassingbourne, Personal, Interpreted, Gironny, Eight, Or, Argent, Sable, Spot ink and Freehand.